Can Ulster end Leinster's European rule? Read more on Can Ulster end Leinster's European rule? New teams, a new format, and no shortage of talking points - BBC Sport profiles each team in rugby's inaugural Pro14. BBC Scotland's Tom English looks back on the career of Brian O'Driscoll ahead of his last game in Saturday's Pro12 final. 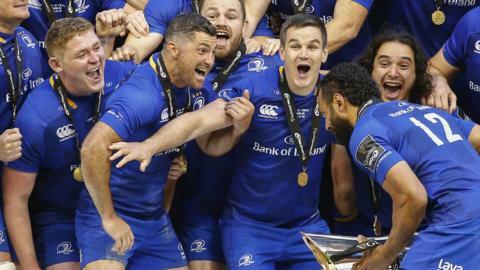 Joe Schmidt finishes his three-year Leinster stint with another trophy as his side beat Ulster in the Pro12 final.